Codero Review: Codero provides a wide variety of web hosting services from cloud hosting to dedicated hosting, the Codero experience provides something for every webmaster. After our Codero review we found that the dedicated server options are excellent. 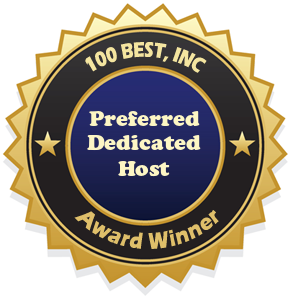 That is why we have named them Preferred Dedicated Host. The dedicated hosting features are seemingly limitless with more than 20 servers to choose from including dual core, quad core, and multi processors. Because the server is the basic foundation of a hosting environment it is crucial to your IT solution. Every hosting solution is optimized for speed, security, and scalability. Having a dedicated server allows every webmaster full control over his/her web hosting account. Every dedicated server is backed by round the clock surveillance, security, network monitoring, and a power backup system. Additionally, Codero offers managed hosting, not only do they provide the server and infrastructure but they also manage the server environment for you. Using the Codero dedicated servers provides a fully functional and very personalized dedicated hosting environment. Each account has the ability to add additional applications, bandwidth, even extra RAM, IP addresses, and much more. Codero wants to make sure that every client has all the tools and features needed to have a successful experience with Codero. Visit the Codero site for complete details about each of the dedicated servers and dedicated hosting options. After your own Codero review, if you still have questions about which server or plan will best meet your dedicated hosting needs, talk to a Codero representative, their friendly US based staff will be happy to help. Statement From Codero: Customer-focused and experience-driven, Codero draws upon the years of experience, knowledge and support of Aplus.net which was started in 1992. The Codero brand was launched as the dedicated and managed hosting division of Aplus.net on July 31, 2009 and quickly became a standalone company.